Obituary for Rev. 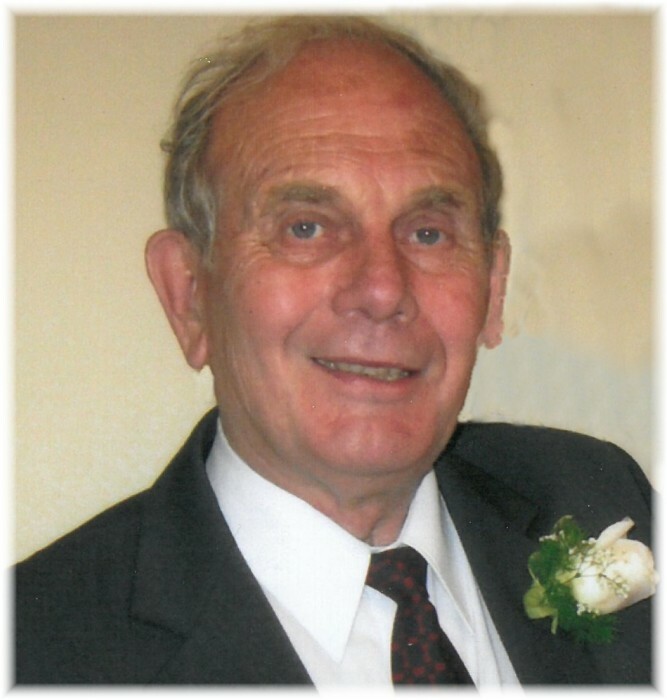 Murray Wenstob | Swan Valley Funeral Services Ltd.
On the morning of December 12, 2018, during a glorious sunrise, our beloved husband, father, grandfather, and friend, Murray Wenstob passed away peacefully at home surrounded by his loving family and his brother Gordon. Murray was born on October 23, 1931 in Viking, Alberta to caring parents Paul and Mabel Wenstob. He will be lovingly remembered and cherished by his wife Joy. They were each other’s best friend and soul mate for more than sixty years of marriage. Together they raised a family of five children, and welcomed three Vietnamese brothers into their home as their own; Cathy (Don), Dylan (Dakota), Erika (Jason), and Koryn; Linda (Murray), Adam and Michael; Bonnie (Pierre), Annalise; Tim (Shelley), Zachery, Melissa, Makenzie; Paul Wenstob; Dzung (Twi), Crystal and Benjamin, Liem and Minh VanLe; also three great grandchildren Billie, Cora, and Archer Brandson. Surviving him are his brother Gordon (Philipa) of Vancouver; sister in law Niki and family of Calgary, Bea (Dale) Holtby of California, Rennee (Dr. Jim) Voloshin, of California, Mariann (Stan) Helgeson of Edmonton, and families. He was predeceased by his parents Paul and Mabel Wenstob; brother Meldrum; sister Stella; as well as in laws Mike and Pauline Kisil; and many other relatives. Murray attended the University of Alberta for eight years, including two years as a sessional lecturer in the Faculty of Education. He received a well-rounded education by taking courses in several faculties; including Science, Physical Education, Medicine, Fine Arts, and Theology. He earned three degrees and his thesis was based on personal interviews with original pioneers. In school and in university he took part in most sports; hockey, baseball, tennis, skiing, golf, curling, track and field. He taught school for two years in Wembley, Alberta. During ten years of summer employment, Murray gained life experience by working on housing, highway construction, oil exploration in the north, ski lift construction in the mountains, farm labourer and direct youth camps. Murray married Joy Kisil of Edmonton in 1958. Together they lived in Rochester and Hardisty, Alberta; Oak Lake, Gillam and Swan River, Manitoba. Murray was ordained in 1959 into the United Church of Canada and served for thirty-five years with an emphasis on community-based ministry. He was an Interdenominational Industrial Chaplain in a remote Hydro project, and during these years in the north was involved with treaty land claims, and founded and edited the Gillam News. Besides church duties he chaired the Swan River Housing Authority, Association for Community Living, Big Brothers and Wellman Lake Camp Board; became a life member of the Friendship Centre; board member of the Thunderhill Ski Club, Provincial Environmental Advisory Board, Post Secondary Education Task Force, Harley House Restoration, and Swan River Folkfest to name a few. In the early years he coached sports in Oak Lake and did some substitute teaching. Murray was a kind, loving, giving and patient man. He thought of everyone first, and was a friend to all. He often said, “don’t judge others because you don’t know their story”. Standing up for justice issues was part of him, even if he stood alone. Murray was a positive person and felt things would turn out okay, no matter what happened. He was down to earth and was always himself with no pretence. Nature was his refuge and strength, he loved the outdoors and the family enjoyed many hikes, camping trips and lessons on respect for nature. His life was one of service and as a minister took countless funerals, weddings, baptisms and confirmations. Working with youth groups was a delight for him. Wellman Lake Camp and other groups kept him busy and happy. He took the Gillam Boys group by train to Churchill and Madge Lake with the help of family, Strathern United Church in Edmonton, Oak Lake and Swan River had large youth groups. He took some of the neighbourhood kids on ski trips. Viking was his home town, where his two brothers and sister had a good up bringing by parents who taught them well during hard times of the depression. Murray was always proud of his Norwegian heritage, and enjoyed taking part in the Folk Fest, help to make Flat Bread and Krumkake. At home his waffles were the best. Family was his joy and loved them dearly and was proud of all their accomplishments which included choosing wonderful spouses. He spent many special times with the grand and great grandchildren, woodworking, baking, telling stores and having outdoor adventures. He listened to them and they knew they were important to him. During his retirement he looked forward to going to the Timberland and Pizza Place for morning coffee; so that he could hash over current events with the ‘senate’ fellows. He was always ready with a come-back or a joke; and being politically interested, made for some lively discussions. He enjoyed attending many local ‘country music’ events and never missed an auction sale. Family and friends will never forget building the log house and cabin, peeling logs, etc. It was Murray’s few hours of relaxation. In the last few months he published a book about the people he met in the north and their stories, hoping their history would not be lost, “Manitoba People of the Land, Rail and Tundra”. It was a work of remembrance and caring. His ministry was one of presence in the community and he got along with all church denominations, even those who had no church affiliation. the sadness and smiles of our memories. Into the presence of the stars and planets we release you. May you rest in peace and love. May you return to God’s embrace. You have been loved, you will be missed. Go safely, go confidently home to God. Thou Good and Faithful Servant. An evening visitation was held on Tuesday, December 18, 2018 at 7:30 p.m. from the Chapel of Swan Valley Funeral Services, Swan River, Manitoba. The funeral service took place on Wednesday, December 19, 2018 at 11:00 a.m. from St. Andrew’s United Church, Swan River, Manitoba with Rev. Kathy Highmoor officiated, followed by a private family interment in Birchwood Cemetery. If friends so desire, donations in Murray’s memory may be made to: Community Foundation of Swan Valley, Box 1509, Swan River, Manitoba R0L 1Z0 or to United Church Mission and Service Fund, Box 39, Swan River, Manitoba R0L 1Z0 or to a charity of one’s choice.